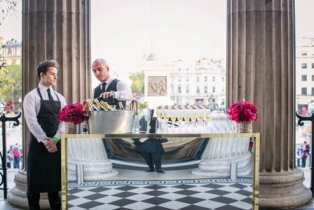 This September, the National Gallery is launching two brand new outdoor event spaces in the heart of London – the National Gallery Garden and Jubilee Walk. Make the most of this opportunity to discover them before anyone else by registering for the official launch party to be held on Monday 24 September 2018. Enjoy food, drink and entertainment from 18.30 – 20.30 to see how the spaces can be used for private events from Autumn 2018 onwards. Places for the evening are limited so please email venuehire@ng-london.org.uk to secure your place. Further details will follow following confirmation of your registration.